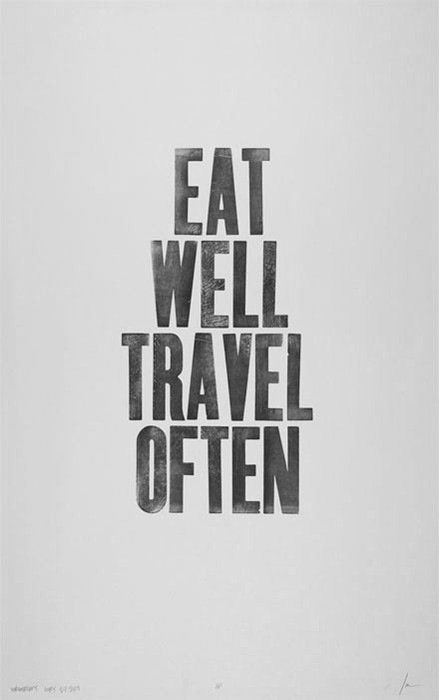 Eat well, travel often… Life goals in four words. Happy 1-year anniversary Project 40! A year ago I began posting in digital form the internal conversations I have with myself. The things that motivate me. The things I worry about and just things in general. It really was just for me. Then I started to get comments from friends and family. Then from people I didn’t know. Other bloggers who liked and looked forward to reading new posts. People actually read my posts and became motivated to make changes in their lives. Someone in the world typed in ‘thoughts on success’ into a search engine and it pulled up a post on Project 40. That’s a good feeling. But it’s a strange feeling. I feel guilty because I don’t post enough. I should be doing more. I want to write more. I have a lot to comment on and I’m never short of an opinion. I just don’t have the time. My favourite blogs post content daily or at least several times a week. These are full-time bloggers. Professionals. I leave you wanting more. I know that. I’m a part-time blogger with a full-time job. There is nothing more frustrating than that. For you and for me. Despite that frustration. This blog has close to 400 followers now and I’d like thank each and every one of you. One year later, Project 40 is still my internal conversations, but I’m now aware that people enjoy reading these posts. I keep that in mind when I write them. Congratulations. So understand the time crunch, especially as this is volunteer, unpaid position as writer. Also there are the days when brain just not inspired. Take care. Thanks for reading and thanks for commenting! Its been an interesting year.